Illegal armed groups and criminals are profiting from the economic crisis in Venezuela by charging fleeing migrants for illegal access into Colombia, and in some cases Panama. For these groups, Venezuelans have become the latest commodity that is smuggled across the notoriously porous border. “Because the river doesn’t have a lot of water, any spot can turn into an illegal crossing,” Lieutenant Colonel Carlos Dario Gonzalez told newspaper El Espectador. Gonzalez commands some 600 border patrol officials along the Tachira River outside Cucuta, the border city that has been most affected by the mass migration. 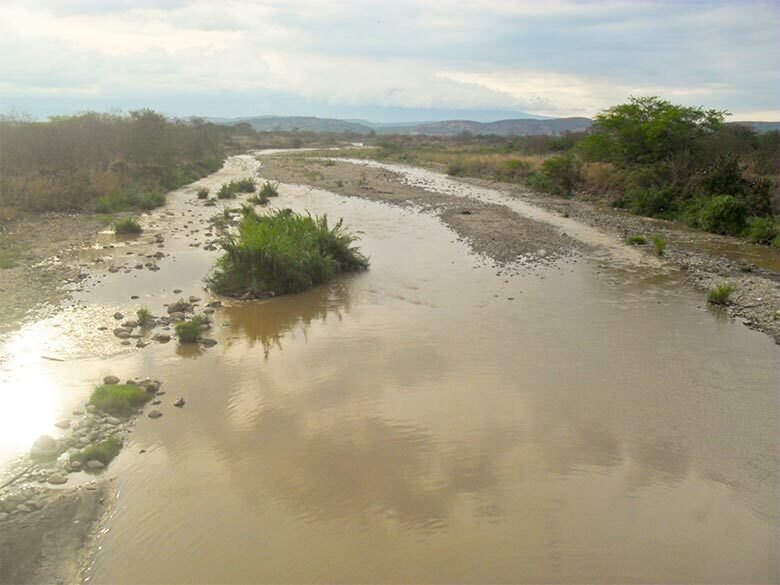 With the exception of Cucuta and its two border crossings, the Tachira River region has traditionally been all but abandoned by Colombian and Venezuelan authorities. President Juan Manuel Santos vowed this week to increase the number of troops along the border, but “it’s almost impossible to cover it all,” the regional army commander admitted. An estimated 35,000 Venezuelans cross the border illegally every day, many of them near cities like Cucuta or Maicao. Providing safe passage has become big business for illegal armed groups that know the area and its many routes. Drug trafficking organization “Los Rastrojos” and the paramilitary AGC have members on both sides of the border and control coyotes on the borders of Ecuador and Panama respectively. According to Javier Tarazona, leader of the Venezuelan NGO Fundacion Redes, the Venezuelan National Guard and a group within the Venezuelan military known as the “Cartel de los Soles” are accomplices of the criminal groups operating on the border. The groups oversee the transport from Venezuela to Colombia, and provide shelter and bus tickets to destinations inside Colombia, including known trafficking hubs to neighboring countries. A Policeman from Uraba, the stomping ground of the AGC, was arrested in Cucuta on Saturday on charges he was a member of a human trafficking network that brought migrants as far as into Panama. The 14 suspects from Cucuta and Uraba arranged shelter and bus tickets to Bogota and Medellin. Some were brought to Capurgana, the municipality on the Panamanian border that is en route to the United States. These people were in charge of different functions and roles within the organization such as receiving migrants from Venezuela, coordinating accommodation in Cucuta, Bogota, Medellin and Turbo. Increased stakes in the region for drug and human traffickers, coupled with new security measures, means tensions are boiling at the border. A Colombian NGO that covers border conflict in Cucuta, “La Fundacion Progresso,” says that six multiple homicides have already occurred this year—whose victims are mostly young Venezuelans. 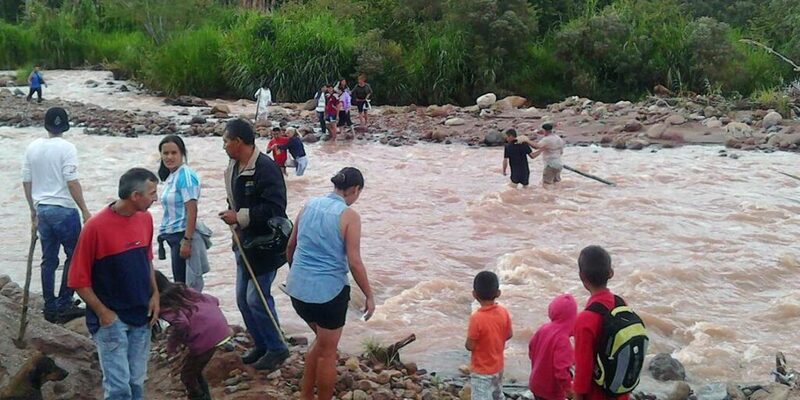 Migrants have seen dead bodies floating down the Tachira River. Authorities have been unable to determine whether they are the remains of migrants or smugglers.